HOBI Weekly Blog Recap 2/04-2/08 | HOBI International, Inc. Provided is a weekly snapshot of the recent mobile, recycling and ITAD related news that HOBI’s blog reported during the week 2/04-2/08. Did you upgrade to a new smartphone last year? If not, you’re not alone. A recent survey reveals 2018 was the worst ever for the smartphone market. Reports cite a combination of economic headwinds, political effects on sales and a lack of innovation to be the reasons behind declining sales numbers. While it may be too early to predict what the 2019 market will look like, industry experts say the outlook doesn’t seem to look all too bright. As technology continues to be pumped out onto the market, the global electronic waste disposal rate continues to skyrocket. In fact, studies show that electronics are the fastest growing waste stream in the world. 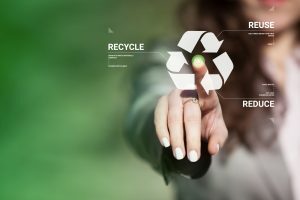 But a new initiative called the Platform for Accelerating the Circular Economy (PACE), sets out to combat e-waste by communicating about the health dangers economic cost associate with e-waste, establishing partnerships with corporations and governments and enacting coordinated plans to tackle the issue. Within the last year, large U.S. organizations have made major improvements in their IT Asset Disposition (ITAD) practices. However, while ITAD practices have greatly improved, an unsettled ITAD vendor ecosystem still raises concern among ITAD service buyers, which has led to reduced commitment form users. Some of the shortcomings that remain as obstacles to sector growth and pose as a cause of risk are: unethical recycling routes, such as disposing of electronics and IT equipment as waste, selling and online trading and storing. For a majority of Americans, single-stream curbside recycling programs have been the easiest way to recycle and participate in green initiatives. But waste experts say that while this single-stream system is convenient and boots participation, it may be doing more harm than good due to the amount of non-recyclable materials it produces. Our only option to make recycling more efficient is to ditch convenience and focus on how to produce a cleaner method for recycling.